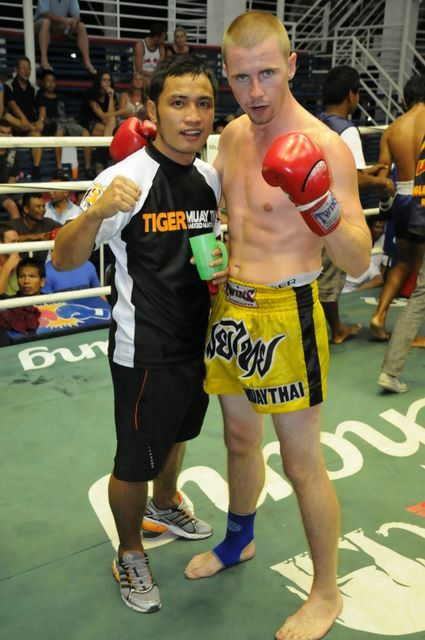 Tiger Muay Thai and MMA training camp, Phuket, Thailand fighters “Clawed out” 6 straight wins with 5 KO’s over three nights in Patong, Phuket, Thailand from July 22-25, 2010. 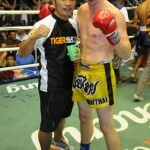 On July 22, Chantal, Tiger Muay Thai’s WMA World Champion had her fight stopped due to the promoters change of fighter and her opponent being to small. Chantal is now concentrating her training for her fight at the Queen’s Cup August 12, 2010. 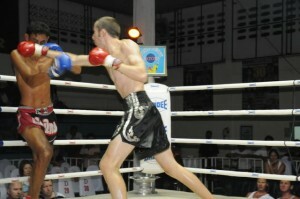 Jamie “The Milk Man”, also fighting on the card scored a first round KO in his first Muay Thai fight. Jamie is a long-term guest training in the MMA program. On July 23, Stuart won his first Muay Thai fight with a 2nd round KO showing good form in stopping a more experienced fighter, while Kok continued his winning streak with his 3rd straight points win over 5-rounds at Bangla Muay Thai Stadium. On July 25, TMT put 3 fighters on the card as James and Woody scored KO’s (Woody moves to 3-0 fighting for TMT). Simon returns to the ring for another points win over 5-rounds as he continues to rise in his level of competition taking on taller, stronger, and more experienced opponents and still showing the skill and technique to win the hard way on points.